Studio hours are by appointment only and our office is available by phone from 9AM to 5PM Monday through Friday. Phone 814-686-7834 - we have a 24 hour voice attendant so feel free to call anytime. Please Note: If you are driving to our studio please note we are located in TIPTON in a residential area. From the light by Rossi's Exxon, turn to go out the back road. One mile past the railroad crossing, turn left onto Oak Lane and our studio is the red building 1/2 way down the lane on the right (you can't miss it!). EXPERIENCE SUPERIOR SERVICE, INNOVATIVE PRODUCTS, AND INDUSTRY LEADING TECHNOLOGY! 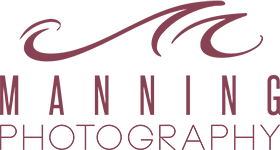 As one of the largest family owned school photography companies in the region, we are committed to our school districts and families to provide creativity, superior quality, exceptional service and honest value in photography. By living our mission, we continue to grow and develop each year. To provide the highest quality photographic images and products exceeding our customer’s expectations. Our customer will remain the focal point and a key driver of our culture and how we conduct ourselves to achieve results every day. We believe that consistent, ethical and quality performance with our customers, vendors, employees and community will result in loyal, long-term relationships. Fulfillment – Exceeding our customer’s expectations every day. Relationships – Investing time and effort into understanding our customer’s needs and goals. Serve – To go above and beyond what is expected. Trust – Do what we say we will do.